Cutting using Waterjet technology produces burr free cut edges and it can be used to cut polished and highly reflective materials. Intricate designs can be achieved with small holes & slots with no distortions. 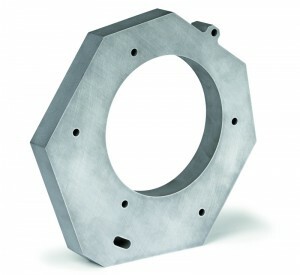 This is in addition to no material thickness to hole diameter ratio. Precision Cutting – +/- 0.2mm on profile, +/- 0.01mm on feature position. Max Material Sheet Size 3m x 1.5m. All materials can be cut up to a depth of 200mm. Since 2007 we have based our entire operation on providing exceptional quality, a fast turnaround and outstanding customer service. Several existing customers treat us as an extension of their core business, letting us take care of ordering, purchasing, offloading, storing and handling on their behalf. 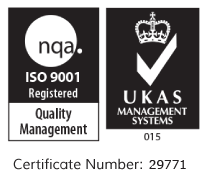 We ensure we always work to ISO 9002/2015 quality standards.